A collaborative approach to the future of the ISPS Handa Premiership has continued with representatives from New Zealand Football and the competing clubs coming together in Auckland to discuss a range of issues affecting the league. The ‘National League Summit’ served to provide a platform to discuss, debate and exchange ideas on these issues and was attended by members of all ten clubs – Auckland City, Eastern Suburbs, Waitakere United, Hamilton Wanderers, Hawke’s Bay United, Team Wellington, Wellington Phoenix, Tasman United, Canterbury United and Southern United. The agenda focused on three key areas, namely the future of the national league, the sustainability of the national league and the sustainability of the participating clubs. The summit was overseen by Daniel Farrow, Competitions and Events Director for New Zealand Football, and he was pleased with the collaborative nature of the process. “The National League Summit was presented as an explorative opportunity for both New Zealand Football and the ISPS Handa Premiership clubs to discuss and debate the stand-out issues for today and the future,” he explains. “The day was really positive with clubs engaging in robust debate and exchanging of ideas. Many of these issues are not new and have been discussed many times throughout our wider review process,” he adds. 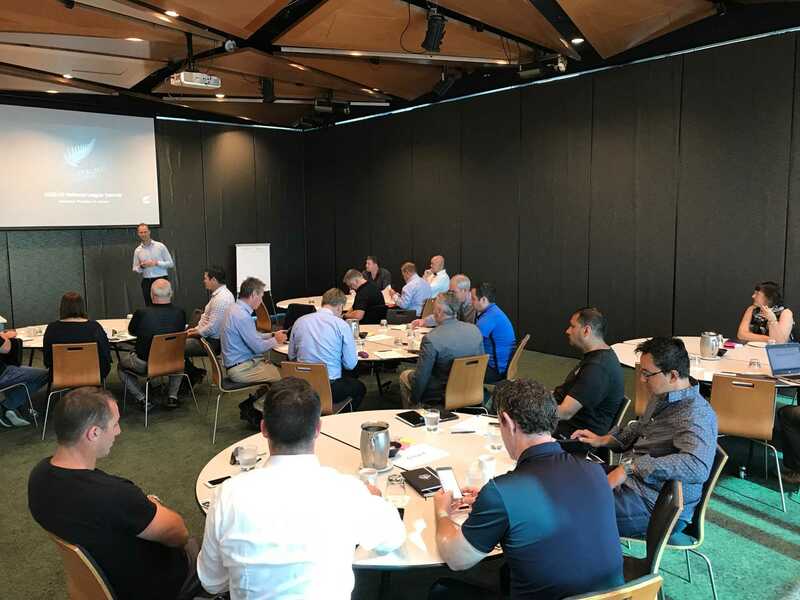 The National League Summit brought together representatives from all ten ISPS Handa Premiership clubs. The summit was not just a one-off meeting and arrived as part of the collaborative process set in motion by the ‘National Competitions Review – The Way Forward’, which was released by New Zealand Football in early 2017. The review set out a blueprint for transformational change in order to establish an aligned National Competitions Framework and either extend or expand the ISPS Handa Premiership by March of 2020. Since the release of The Way Forward, the New Zealand Football competitions department has conducted various meetings and discussions with its key stakeholders, including ISPS Handa Premiership clubs, federations and aspiring clubs participating in regional leagues to advance the planning towards and achievement of the 11 priorities set out in the review. “As we approach the final stages of the National Competitions Review timeline, it’s really important that we continue to have focused discussions with our key stakeholders – of which there are many,” Farrow says. Outcomes from the summit discussions included the clubs’ support of the final consultation phase and timeline for decision making – which will now be presented to the Executive Committee for approval and communicated publically – and a clear collective position from the clubs on the critical competition matters, such as purpose, format and calendar. Also made clear was a willingness for all stakeholders to take a greater partnership approach to revenue generation and the exploration of sensible cost-saving measures to support sustainability. 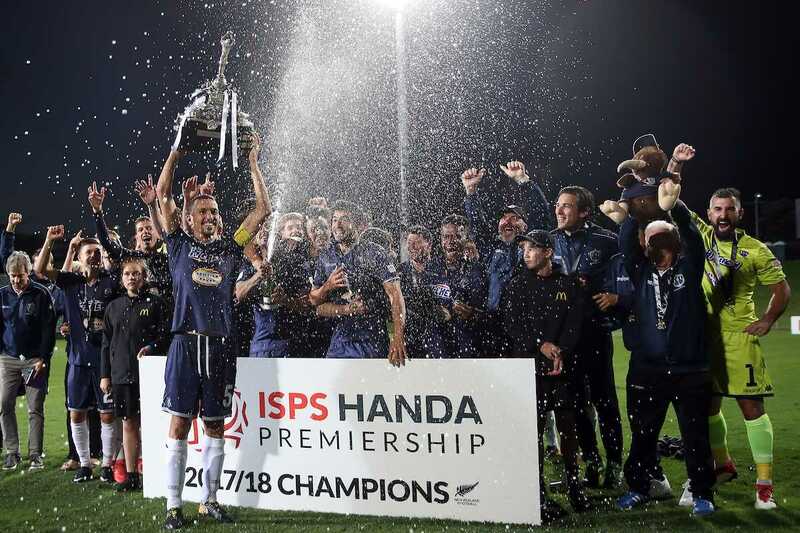 Following approval by the Executive Committee, the next step is for further consultation and feedback to take place between New Zealand Football, the ISPS Handa Premiership clubs, federations, aspiring clubs and, importantly, the players over the coming months.